All teachers have also been students. This post is part of a blog link up celebrating wonderful teachers that we had or work with. I have had a lot of amazing teachers! I was thinking through my favorite childhood teachers trying to decide which one to write about: my 5th grade teacher, my middle school science teacher or my high school French teacher. But I remembered I was thinking about an amazing teacher just last night. He helped me become the math educator I am today. Dr. Piel was my Elementary Education Math Professor and the University of North Carolina in Charlotte. He emphasized putting the kids first and not to blindly follow textbook curriculum. He showed us how some standards expected of our students are just not developmentally appropriate. One of his favorite things to ask us was, "What do you teach?" The correct answer was not a grade level or a subject but children. I think that was actually a frequent test question. He taught us the importance of teaching our math students using concrete manipulatives. Many of us did not have much experience using them ourselves. During our college classes we solved problems with Cuisinaire Rods and Base-10 Blocks. I'm sure many more classrooms in Charlotte would have manipulatives still housed in plastic boxes if it weren't for Dr. Piel. The experiences we had in class made us comfortable and confident in using these materials with our students. We wrote lessons that used these manipulatives for our classmates to complete (and critique). I still have my course pack from his classes and refer to them for alternative ways to teach some skills. I know that being in Dr. Piel's class completely shaped the way I teach math and my beliefs about teaching in general. When my principal gave us the opportunity to departmentalize I was excited to be able to focus on teaching math. My education in this subject area gave me the confidence I needed to group and differentiate for my students and to be one of the first teachers in my school to move into a math workshop model. Thank you Dr. Piel for caring about teaching teachers the most effective math instruction techniques. As a teacher of children, you make a difference in so many lives. Remember that teachers are heroes and what you do truly matters. 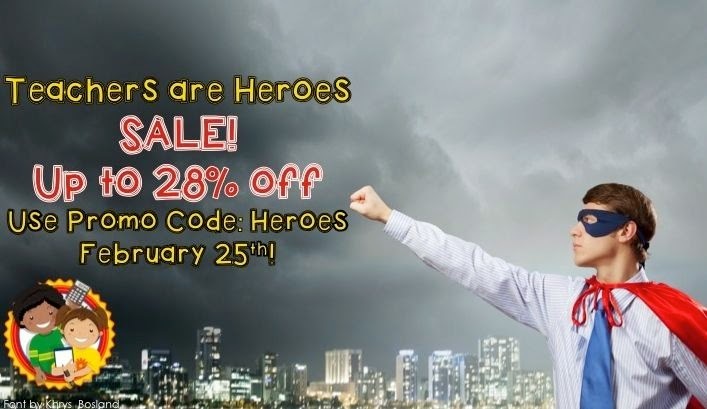 If you are in the market for teaching resources please head over to TPT for the Teachers are Heroes Sale! Get 28% most products. 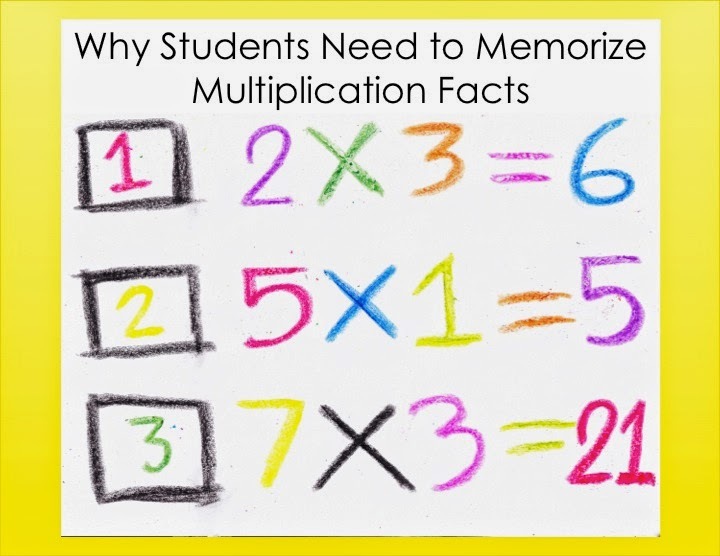 I've heard many arguments why we shouldn't make students memorize multiplication facts. Reasons include: some students cannot memorize, multiplication fact testing leads to math anxiety, and learning facts is outdated. Most students can and should learn their math facts. They are very important for moving on in math. For example, my students are learning area right now. To solve area problems students must multiply length times width. While in this case the problems are not hard to figure out with repeated addition and other strategies, the students who have memorized multiplication facts have an easier time learning new skills when they are not struggling with simple facts. When required math skills get more complicated like double digit x double digit multiplication, students who struggle with each fact are quickly frustrated and must work very hard to solve each problem without making calculation errors. It is true that some students have more difficulty memorizing facts or even memory disabilities that make memorization difficult or impossible. Some students have reading disabilities but we don't discourage the learning of sight words. Of course, we must make accommodations and differentiate for students with disabilities. However, we should not allow the disabilities of a few students to dictate what we require of other students. 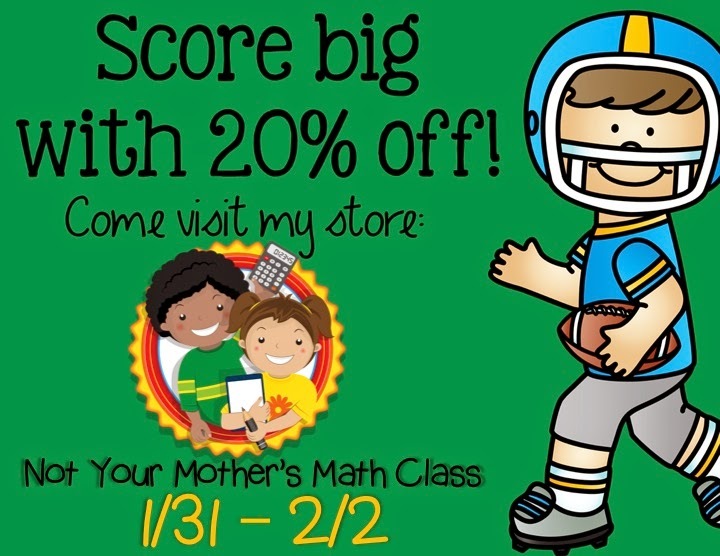 Most students are capable of memorizing multiplication facts. Timed math fact quizzes do cause some students stress and anxiety. Some students thrive in competition and others give up. I remember studying my multiplication facts as a child. We had timed fact quizzes in my 3rd grade class. My mom made me do flash cards every night. It was hard and I didn't like it. I'm sure I cried and whined. But my mom made me do them anyway and I learned my facts. I was proud of myself as I mastered each level. It taught me to persevere through difficult tasks to become successful. When I was in school there were fewer ways to practice and test facts. Now students have access to computer games and quizzes that can be used for practicing and testing math facts. One of the things about timed quizzes that increases math anxiety is the charts that are on many classroom walls that list student's fact proficiency. Sometimes these are sticker charts or even cute creations of ice cream sundaes and the like. Students knowing their own data is important but there is no reason to post everyone's data for all to see. My students keep their own data in their binders. The only student they need to be competing against is themselves.There are other ways to make fact quizzes less stressful. Teachers can experiment with different ways of timing and various lengths of tests to reduce anxiety. I love some of the new approaches to math. The increase in math talk in the classroom is a wonderful thing. It is great to hear students explaining different ways of solving problems to each other. Today's students understand that there is more than one way to arrive at the right answer. This approach increases students' understanding of math. I use many hands on activities, games, technology and interactive strategies in my teaching. I am truly not a teacher who is stuck in the past and is unwilling to change. I believe that fluency in math facts continues to be necessary in today's math classes. Happy Tuesday everyone! I have finished another free sample. All my free samples are fully functional resources. If you like the sample and want more you can purchase the full product. If you don't want to make an additional purchase that's fine, you still have a great resource to use. 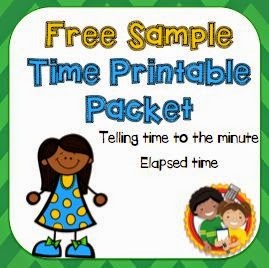 Here is my Time Printable Packet Free Sample. I designed it for 3rd grade but if you teach telling time to the minute and elapsed time it is perfect for you! Want more freebies? 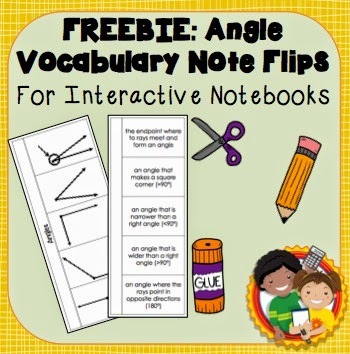 Just click here for a list of all my free teaching products. Follow my store when you're there and you'll be notified when I add more. There is so much going on today! There are a lot of stores on sale on Teachers Pay Teachers today. Including my store. I have everything discounted 20% off today and tomorrow. I know that I have a lot of things on my wishlist. I think I actually have a 4 page wishlist. I plan to do some shopping today! 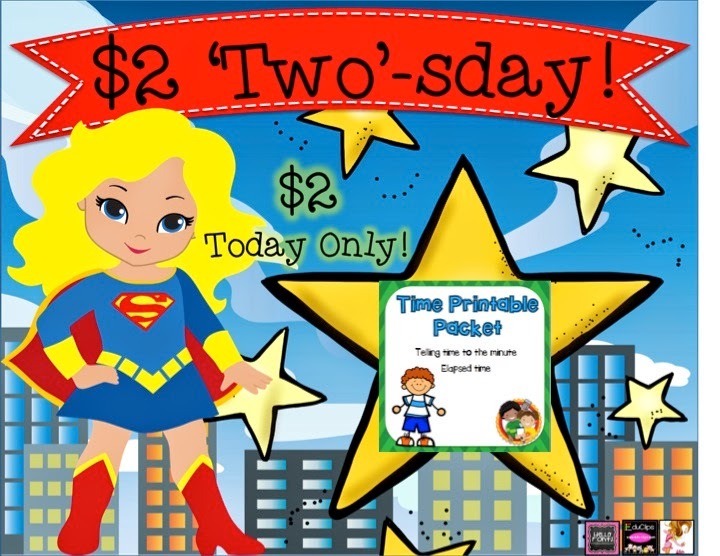 I am also lucky enough to have a free item featured in the Teachers Pay Teachers newsletter. If you don't get the newsletter click here . You'll see why the newsletter is so great, every week you get links to 10 free resources, plus links to other featured products and useful teacher tips. This is my freebie that was featured. It is a forever freebie so if you missed the newsletter, no worries. It will always be available right here. I also have a brand new product out. I made a new set of task cards. My students are working on area and needed some self checking centers. I just learned how to make task cards that you don't have to trim. Just cut the page in quarters and go. That is such a time saver. I'm so happy with these and can't wait to use them on Tuesday. If you would like them, you can get them in my store for 50% off until 10:30 pm EST Monday night.